If your home has rooms where you experience a poor Wi-Fi connection, the problem isn’t with your internet service — it’s with your Wi-Fi network. You may have an insufficient Wi-Fi router or it may be placed in the wrong location. Easy Installation of Your New Wi-Fi Network. We'll install a GigaCenter router in the ideal location. And you can add wireless access points for those hard-to-reach rooms. We'll even help you connect your devices to your new Wi-Fi network. We can easily troubleshoot most questions over the phone using remote assistance tools. We'll handle updating your router's software to ensure peak performance and security. Make your internet experience hassle-free today. Complete the form below or give us a call by dialing 611 from any Alliance phone or (605) 582-6311 from your cell phone. Alliance is offering a dual band AC router and mesh satellite units that support 2.4 GHz and 5.0 GHz. The router and mesh satellite units remain the property of Alliance Communications and will not work outside of Alliance’s service territory. If you disconnect services, you must return the router and mesh satellite units to avoid being billed a minimum of $200. After your initial installation, you will receive unlimited free tech support over the phone via remote assistance tools. Repeat visits back to your location may incur trip charges. Yes! I want help with my wireless router. 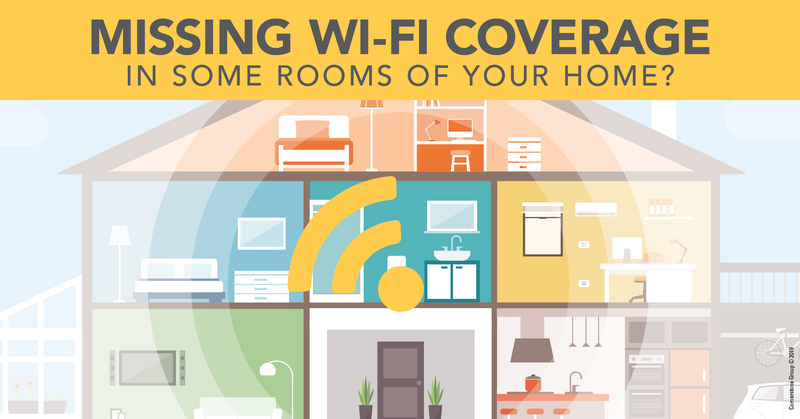 Is Wi-Fi hard to access in any areas of your home? If you answered yes to the question above, what rooms have weaker Wi-Fi coverage? Do you want Wi-Fi coverage on your patio or in your yard?